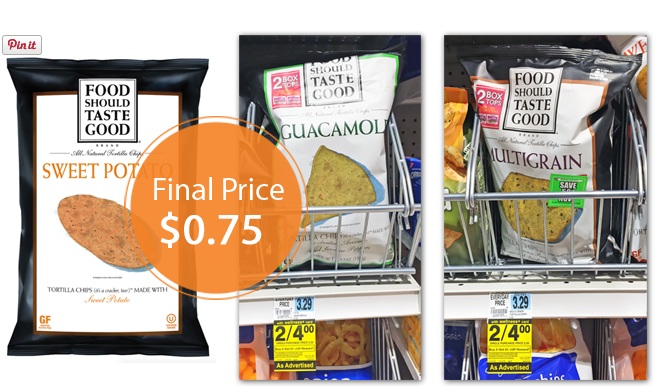 Food Should Taste Good chips are on sale, two for $4.00, at Rite Aid. Buy two bags and use two $0.75 printable manufacturer coupons. Pay $2.50 and receive a $1.00 +Up Reward at checkout. The final price is $0.75 per bag! Total $2.50 plus receive (1) $1.00 Up Reward, making them only $1.50 or 75¢ each after coupons and UPR!